I’m currently writing about Fijian-Māori visual artist, Margaret Aull’s new work for her upcoming exhibition, Concealed Ancestors. I met Margaret in 2008 in Suva, Fiji – we were both part of the Vasu: Pacific Women of Power project at the Oceania Centre for Arts and Culture at the University of the South Pacific. Since then, we’ve worked together on a number of projects and I’ve enjoyed seeing her work shift and change. Margaret’s work is intentionally and unintentionally a declaration of her cultural position as a Fijian-Māori / Māori-Fijian. 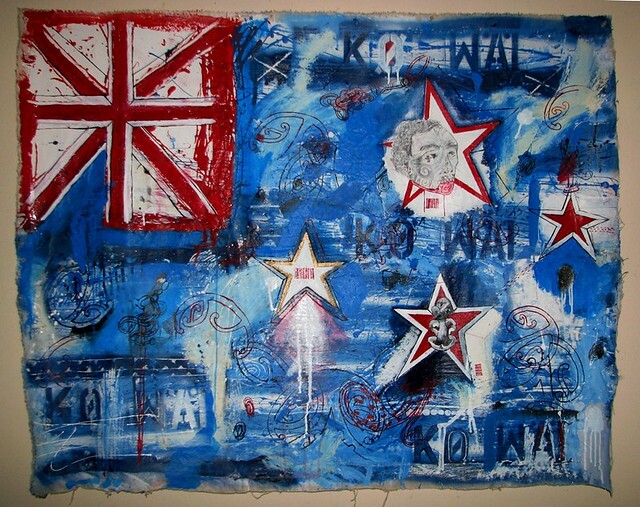 She has made work exploring flags, identity and ownership, as in the work Kiwi mate (2011) [above] and explored political similarities and colonial struggle of both Fiji and Aotearoa. 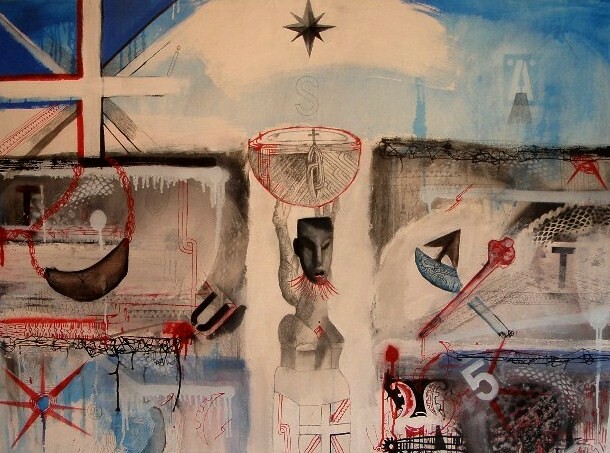 In a review in Eyeline magazine (Issue 73), Tessa Laird describes Margaret’s work, Tino Rangatiratanga and Coups (2010)as, “a broken composition that is part flag, part museum display case, with fragmented artifacts subjected to colonial categorisation and branding”. The work was created for the exhibition Native Coconut at Fresh Gallery Otara featuring three artists who share both Māori and Pacific Island ancestry. 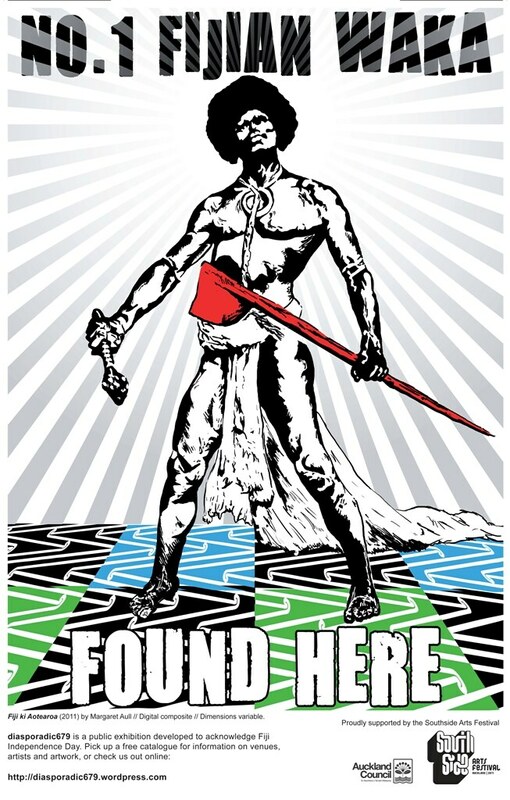 Last year, Margaret trialled collaborating with a graphic designer to develop the work Fiji ki Aotearoa (2011) which was shown in the exhibition diasporadic679 at various venues in Ōtāhuhu in acknowledgment of Fiji Independence Day. The work in Concealed Ancestors is a further shift in thinking and aesthetic consideration. The exhibition showcases a series of works on paper and a sculptural installation. Produced as part of Margaret’s post-graduate studies, the work is an in-depth visual enquiry into the concept of tapu / tabu or sacredness informed in part by a recent trip to Fiji and time spent at the Fiji Museum.